The Living Room is White! These pictures aren’t very good. It was a rainy cloudy day and the light wasn’t very good. 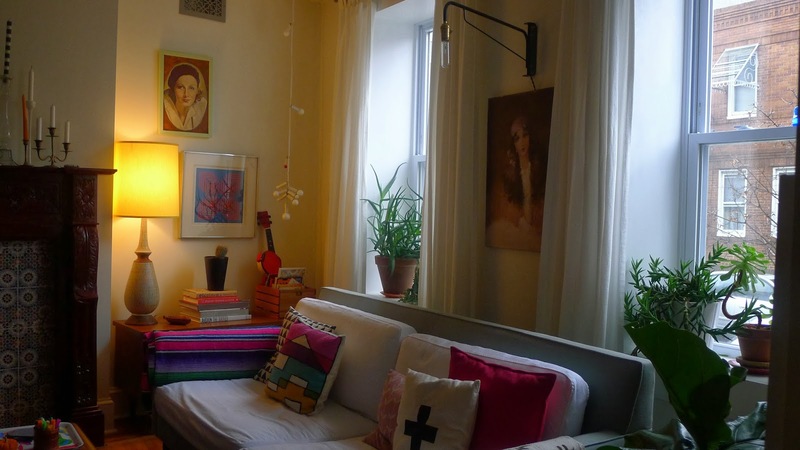 Hopefully I’ll get around to posting more pictures of the living room and dining room soon. With two kids are house seems to have tons of stuff strewn around. While Scott and I both clean often we also believe in letting the kids have full reign of the house. We don’t have a designated “play area” and Kiran and Jai generally like to spread out in the living room, dining room, kitchen, their room, the guestroom, our bedroom and the backroom to play. Every evening Scott and I put away all the toys, costumes and cardboard houses and every morning and every evening the kids stuff seems take over the house again. 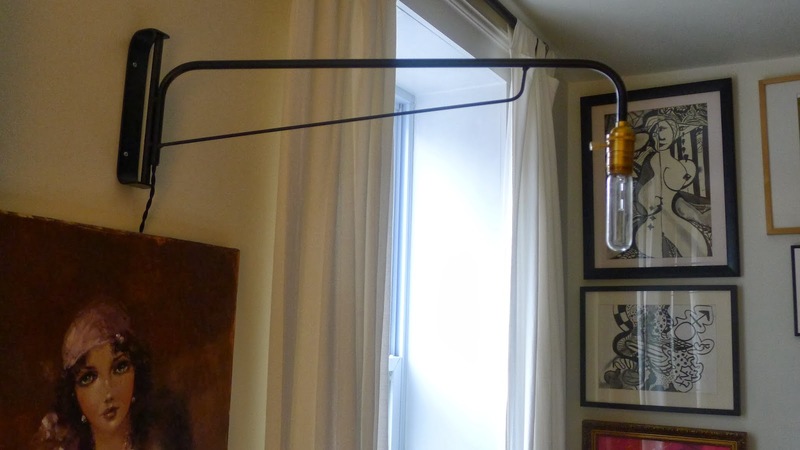 The lamp is called the Otis and it is designed by Logan at OneFortyThree. 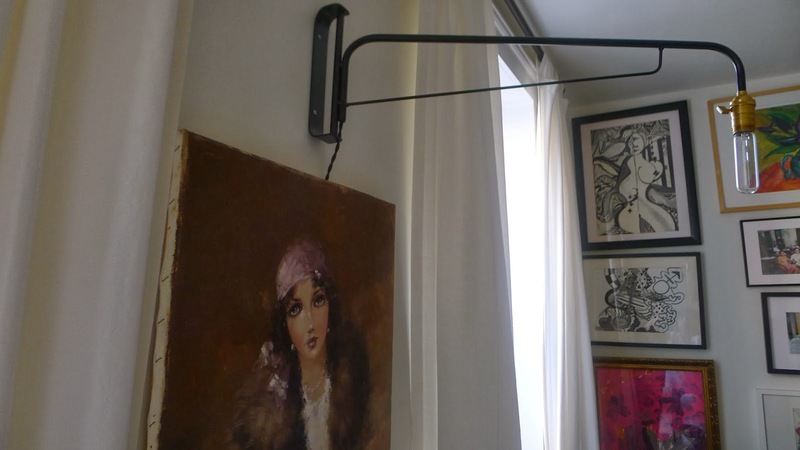 It has a 180 degree swivel and it is the perfect reading lamp for the couch. 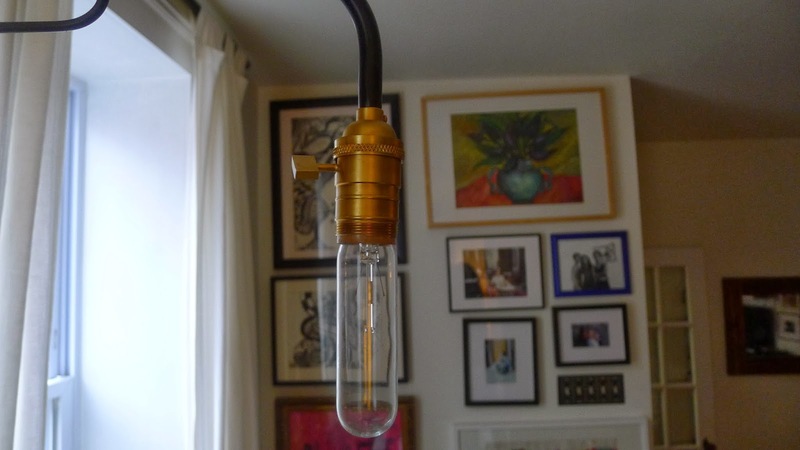 All Logan’s lamps are fabulous. I am planning on getting another one for the living room and possibly a few more when we get around to renovating the kitchen. « The Back Room is Black!